Adelaide Airport Ltd (AAL) says revenue rose eight per cent to $214 million in 2017/18 on the back of good domestic growth and significantly increased international traffic. The company reported earnings before interest, tax, depreciation and amortisation (EBITDA), before adjustment for fair value of assets, rose 7.1 per cent, or $8.8 million, for the 12 months to June 30 2018. However, the fair value line was $10 million lower at $15.9 million, while the pre-tax result also was dragged down by higher depreciation charges and an impairment charge of $980,000 against property, plant and equipment. As a result, net profit for the year slipped to $44.9 million, from $48.5 million in the previous year, Adelaide Airport said in its annual report published on Friday. 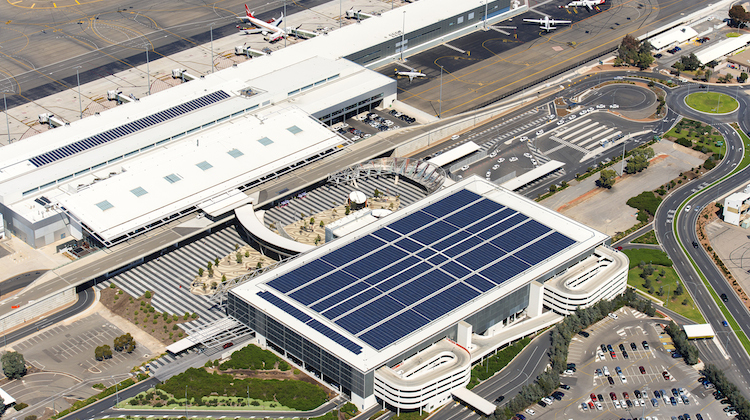 Directors said operating expenses were 8.3 per cent higher, pushed up by rising utility costs – including South Australia’s surging electricity prices – and the increased costs of passenger handling. The annual report said the airport handled a record 8.4 million passengers in the past financial year, up 4.1 per cent. As was the case in the previous year, international traffic was the strongest performer but domestic and regional traffic also showed growth. 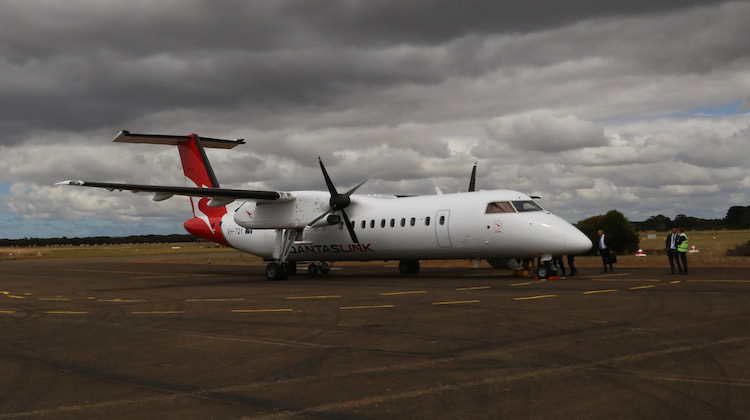 After a period in the doldrums, regional services were boosted by a rise in fly-in/fly-out (FIFO) operations for the South Australia resources sector, and the start of QantasLink flights into Kangaroo Island. AAL managing director Mark Young said the new financial year had started well. “We are tracking OK for another good year, with passenger traffic up about 4 per cent,” Young told Australian Aviation on Friday. The number of international passengers climbed by 5.6 per cent in 2017/18, with an additional 53,000 people travelling on nonstop overseas flights. This resulted from capacity increases by Cathay Pacific and Qatar Airways, a move to Boeing 787 Dreamliner services by Air New Zealand and the start of direct flights between Adelaide and Nadi by Fiji Airways, which has carried 8,000 South Australians on its new service. The biggest inbound traffic was generated by China Southern, which brought 38,000 passengers into Adelaide from Guangzhou. Apart from passenger traffic, air exports from South Australia jumped by 6.6 per cent, with a total value of $1.69 billion, following an increase in freight capacity with more wide-body aircraft being used by international carriers on the Adelaide route, and greater frequencies. Young said there was scope to further increase freight traffic, with 60 per cent of South Australian air exports moving through Adelaide, and the rest through interstate airports. “That means another 40 per cent could go out through Adelaide,” Young said. Young noted Adelaide was now connected directly with nine international destinations, and had one-stop connections to about 300 cities across the world. While international traffic was a standout in terms of growth, domestic traffic was the backbone of operations and passenger numbers rose by 3.9 per cent to 7.4 million. Young said this was the fastest domestic growth rate for all state airports. Both Qantas and Virgin added capacity, equivalent to almost 229,000 additional seats, and new services linked Adelaide directly with Newcastle and Hobart. On the revenue side, income from aeronautical operations rose from $101.8 million to $107.7 million, commercial trading income rose from $49.4 million to $54.6 million, and property revenue was $4 million higher at $49.2 million. With the combined commercial revenues almost equalling aeronautical income, Young said, “we have a well-balanced business”. The property side had experienced “a very good year”, with major new tenants including OZ Minerals and Australian Clinical Labs. Young said AAL was negotiating with other prospective tenants. “There should be more announcements ahead,” he said. AAL significantly boosted its dividend payments to shareholders – mostly superannuation funds – from $41.6 million to $81.7 million. “We have been building up the balance sheet capacity of some time, ahead of the terminal expansion project,” Young said. 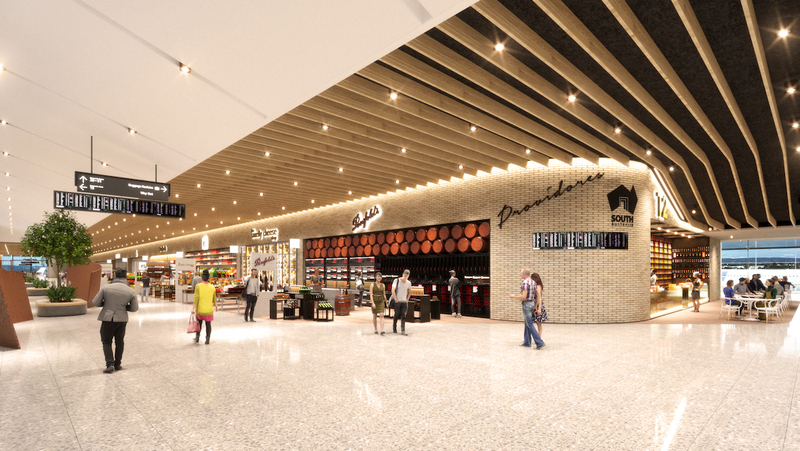 The airport company planned to invest $165 million in the expansion of the terminal to upgrade the areas for international arrivals and departures, and refurbish and expand retail and dining facilities. The first elements of the three-year project that was first announced in June 2018, would become available to passengers and visitors in early 2020. ADL is a nice airport, however I haven’t heard Qantas planning any International services from Adelaide. Will be nice for Adelaidians when they do. Heard Adelaide Airport are trying get direct services to the USA. Good luck with that. Don’t waste your time by asking Qantas. I did Notice in the short film on the update of the airport ,there was NOT one was seen to have a disability . I for one do have a disability so what services could i expect … Drop off right now is a shambles .Pick up same .Oh No not an other suit case smashed again,. I hope you’re not a pilot Ashley. Oh Ashley, I think you need to get out a little.